Nostalgia is big in gaming these days. Gamers who grew up with consoles are now old enough to spend their hard-earned money reliving their childhood. NES and SNES classics flew off the shelves, and those that went into gaming as a profession likely cut their teeth on games that emulated those classics. Gaming had it's awkward years though, and it was right about the time they moved into three dimensions. Yes, there are some gems that will be talked about until the end of time, but even getting the controllers right was difficult, let alone how to properly orient yourself in those environments. 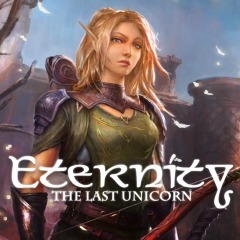 Eternity: The Last Unicorn tries to bring back the nostalgia for those early days of 3D RPGs on PC and console, but hits the nail a little too on the head, bringing the bad parts boiling to the surface. Inspired by Norse mythology, Eternity: The Last Unicorn is a tale of the elves who rely on the titular unicorn to maintain their immortality. 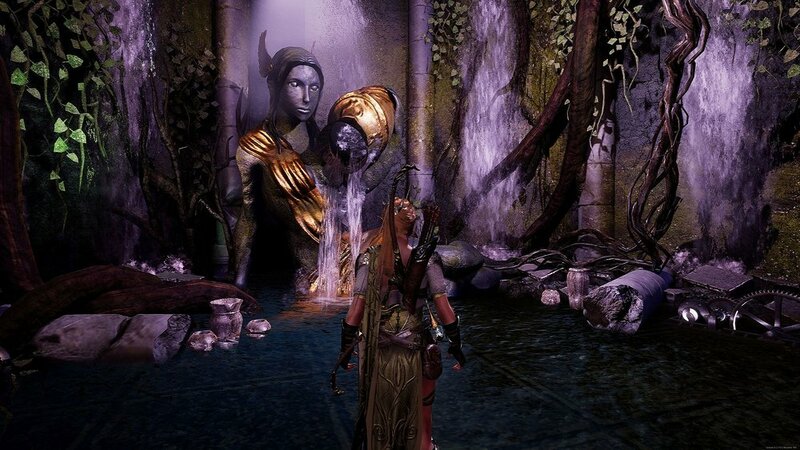 In an effort to hold on to their eternal life, Aurehen heads out on her quest. The story interweaves with Bior the Viking and his clan, who were recently nearly wiped out by attackers. 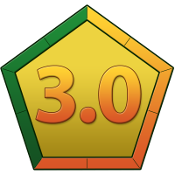 You control both characters as you delve through the tale. The main draw of the game is the retro aesthetic. Gamers deal with fixed camera angles, spaced checkpoints and specific save points, and classic control schemes that evoke that era of gaming. The Norse mythology is just different enough to be fresh, but familiar enough to remain engaging. The developers have crammed the game full of lore that you end up reading on the game's loading screens. Unfortunately the depth of storytelling kind of ends there. Running across one of the few other characters in the game results in a basic text box one-sided conversation. Combat is reminiscent of Dark Souls in the vein of memorizing combat animations and exploiting patterns with massive damage done to you if you mess it up. There are a lot of unique enemy designs but unfortunately a lot of the strategy boils down to "run in, whack a lot, and dodge when you're gonna get hit." At the beginning of the game, with your basic hit points and lengthy healing animations, you will die a lot. Sometimes it feels unfair. Then, you load the last checkpoint, and it's a few encounters back. If you're getting used to the combat still (which can be clunky--I succeeded better simply wailing on crowds than dealing with the lock-on mechanic) you will get frustrated memorizing battle patterns just to get to the same place and die again. An early example of this I faced was one of the first real bosses. You hit a checkpoint, talk to a dwarf, get an item, then have to run about a third of the way back out of the area you are in before an unskippable introductory animation for the boss. Thanks to the fixed camera starting the battle behind the boss to where I couldn't see my character, I died several times. The checkpoint was back at the beginning of that line. With nowhere else to go, it got so old having to talk to the dwarf...again. Walk down the path...again. Watch the animation...again. Die...again. The game is rather linear in that aspect. The review guide states that you can go back and farm for XP in earlier levels if you are stuck on a tough boss, but I found times I was trapped in a dead end with nowhere else for me to really go to level up or find new healing items. Once you get in one of those "hallway" situations, you're kinda stuck till you figure it out. At the first character switch I spent forever trying to figure out where I needed to go. I thought I knew the obvious answer, but it wasn't. I ended up traversing every piece of the map I'd been on so far before I found the next step. There are a lot of things that feel as if they come from classic RPG land, but not the good side. There are confusing story parts: Aurehen the elf has some sort of "purification" ritual she does with the bodies she finds on the ground that you have no idea what it's for at the beginning. It doesn't seem to really do anything to benefit you. You come across treasure chests the game gives you the option to open but you can't: they're for the other character to crack. There's a crafting procedure, but you can only do it at a certain place and there's a success/fail rate. The static camera angle means your motion joystick will change direction depending on which way the camera pans, and it can pan to where you think you're going backwards. Enemies pop up like they're random battles, but it's always the same combination of enemies in the same little open area on the map. The sheer number of doors you come across that are locked that show we're gonna be backtracking over and over, far less satisfying than when it's done in a Metroidvania. Some of this would grab your attention and keep you coming back when gaming was younger, but the modern amenities are sorely missed. If I die at a boss I no longer expect to have to trudge through three or four minutes of unskippable tedium just to take another crack at living past 45 seconds. There's some good bones inside of Eternity. The Norse mythology setting is definitely interesting, but most of it comes from reading the text-heavy loading screens. Despite looking dated the characters are well designed. While simple I do appreciate the puzzles I've come across so far and how they offer a little variety. Unfortunately the combat is clunky and simplistic and borders on painful when you are forced to redo your last 20 minutes because you messed up and there wasn't a place to save. The crafting seems fun until you save up because you realize you can craft some more health or damage potential only to have the craft fail and you're worse off than when you began. I really want to enjoy Eternity, but I feel it could have stayed in the oven a bit longer and went through beta testing with some people who would give some constructive criticism. Add some more combat than weak and strong sword. Drop some vocals, maybe a bit more animation into the conversations between characters. Give enemies a bit more variety in strategy to defeat them. These little things could have made a middle of the road game truly great. 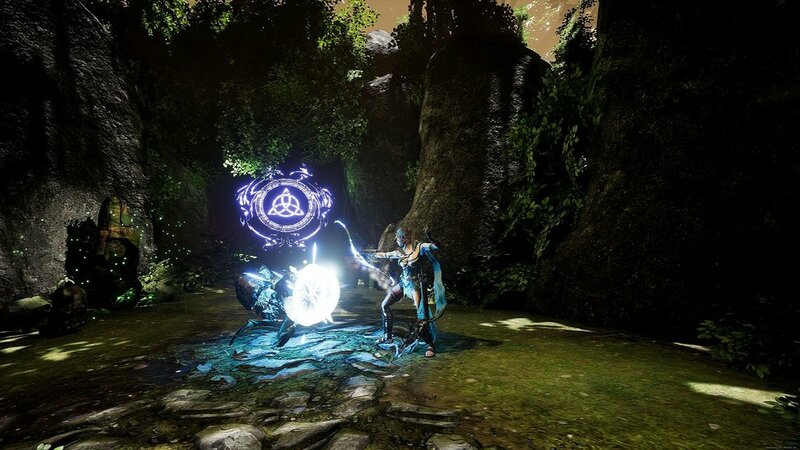 If you really, truly wish to hearken back to early 3D gaming, with static cameras following you through basic sword battles with a very loose leveling up system, Eternity will thrust you back to the late 80's/early 90's, warts and all. If the developers of Eternity were trying to recreate that exact feel, they hit the nail on the head. I just wish they would have offered a few of the quality of life upgrades that gaming culture has offered us since then. -Norse mythology offers a fresh take on the medieval setting. Special thanks to Void Studios S/A for providing a code for review!